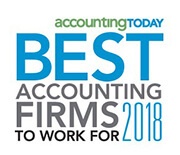 Paramus-based KRS CPAS has been named for the ninth year in a row as one of the NJBIZ Best Places to Work in New Jersey. KRS is known for being responsive and following through for clients. The firm’s goal is to make it as easy as possible for clients to get the advice and counsel needed, so they can focus on living their lives and running their businesses. The NJBIZ Best Places program identifies, recognizes and honors New Jersey’s top places of employment that benefit the state’s economy, workforce and businesses. 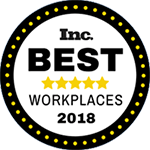 The program is made up of 100 companies split into two groups: small/medium companies (15-249 employees) and large companies (250 or more employees). 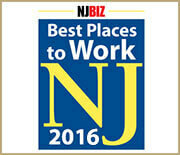 KRS has earned the Best Places to Work in NJ distinction in the small/medium category. The rankings of the 100 Best Places to Work in New Jersey will be unveiled at an awards ceremony on Wednesday, May 01, 2019, 5:00 pm – 8:00 pm, iPlay America Event Center, Freehold, NJ.